HF BOOK MUSE- NEWS: THE CONFESSIONS OF MARIE ANTOINETTE! After reading about Marie Antoinette’s life up until its tragic conclusion in Juliet grey's CONFESSIONS OF MARIE ANTOINETTE , can it be that I now see my beloved martyred queen in a new light (if that’s even possible after having read almost everything that’s ever been written about her)? No queen has ever been more talked (malignantly) or written about- yet, CONFESSIONS OF MARIE ANTOINETTE reveals an 18thc queen that can finally be better understood today than ever before in history. In the far past she was completely trashed as being frivolous, non-caring and narcissistic. Moving into the future, Marie Antoinette was slowly transformed into the ultimate pious queen (but still fanatically frivolous); Two sort of extreme versions. So deep down, who was Marie Antoinette? The two books prior to CONFESSIONS OF MARIE ANTOINETTE , by Juliet Grey (BECOMING MARIE ANTOINETTE and DAYS OF SPLENDOR, DAYS OF SORROW) , clearly sweep us through a believable transformation and blossoming of this iconic queen. 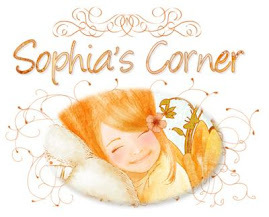 We grow along with her and naturally come to empathize and understand the woman, the mother, the lover, the wife, the friend and the royal that she truly was. 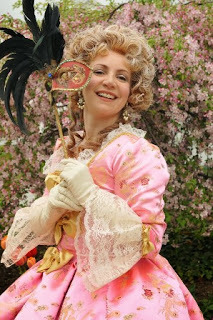 But it’s in this third book of Grey’s trilogy that you understand what Marie Antoinette was really all about. Far from passive and light-brained, her courage and depth were immense. I was impressed by how she would not give anyone the satisfaction of even the tiniest sign of surrender- she was regal until (especially) the very end. I loved this portrayal of grand dignity…even she would not allow her own self-pity. This is the first time I have read of Marie Antoinette bearing such strength of character; whether it was as a co-ruler with her husband, the king, or for her stance as a mother in the most calamitous of times, or as the monarch confronting her destiny ever so bravely. CONFESSIONS OF MARIE ANTOINETTE finally grants the last French Queen her well-deserved place amongst remarkable historical women of substance- women who were not afraid to be passionate, intense and unshakable to the core. 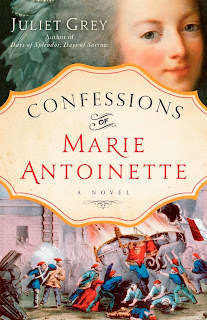 A wonderful novel, impeccably researched for accuracy, CONFESSIONS OF MARIE ANTOINETTE easily lends itself as the go-to book for a polished and accurate update in history. Bravo Juliet Grey for bringing us a Marie Antoinette that is ageless, timeless and now, finally real enough to be understood. Check out HFVBT Calendar HERE. Please enter your comment and email for a chance to win this Fabulous Book! I would absolutely love to win this book! Marie has fascinated me since I was a little girl! I would love to win this!! I shared on facebook and twitter.